Portugal is home to some of my favorite things: Delicious pastries, delectable wine, and buckets of history and intrigue. It also offers incredibly picturesque towns…with bargain real estate in them. 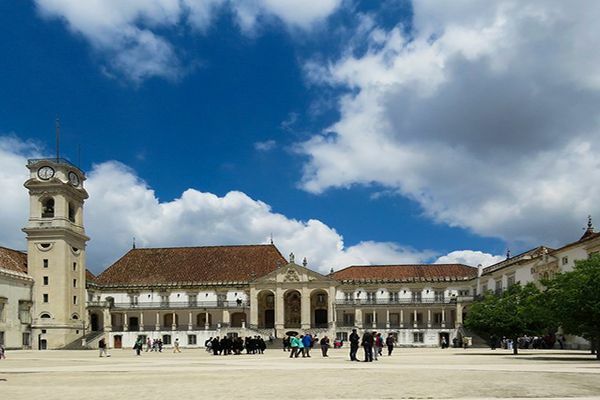 Lisbon, the city’s capital, and the sunny Algarve, on the country’s southern coast, have long grabbed the attention of tourists and expats alike. As a result, buying property there can often mean your dollars won’t stretch as far as you might like them to. But get away from these two hot spots and you can easily own your own little piece of Portugal for less than $200,000. On my whirlwind exploratory trip, I hit up seven places in six days…and by the end of it, it wasn’t just the melt-in-the-mouth custard tarts and slightly fizzy vinho verde (green wine) that had me contemplating coming back for a longer stay. About two hours north of Lisbon is Coimbra. The medieval capital for over a hundred years, today it’s famous for its university, one of the oldest in Europe (it was established in 1537). The students still wear traditional black robes and capes to attend classes. 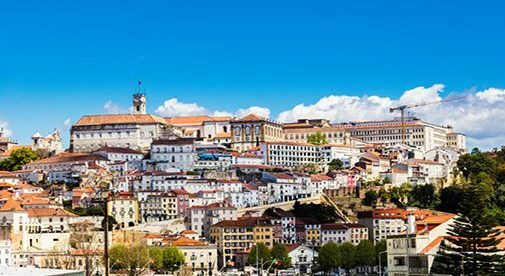 Perched on a hill above the city, the university is the heart of Coimbra’s old town, a warren of narrow cobblestone streets. Tiny family-run restaurants, tapas bars, and upscale Italian pizza joints vie for the attention of the student population as well as the tourist crowd. You can own a home in the shadow of the university. I came across a three-bedroom, two-bathroom, 1,130-square-foot apartment on the market for $173,500. A little over an hour drive northwest of Coimbra, on a big, modern highway is the smaller town of Viseu. Although less well known than Coimbra, and quieter, Viseu is no less charming. Rua Direta, in the old town, is Viseu’s most attractive street with building facades of sky blue and deep crimson tile that house upscale clothing and craft stores and cafés. 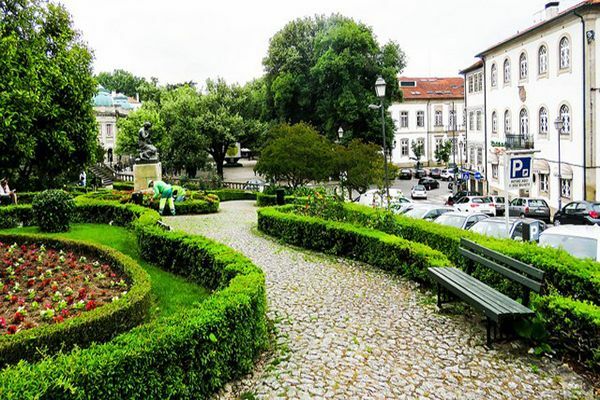 The centerpiece of Viseu is the main square, Praça da República (the locals call it Rossio), a tree- and fountain-filled park that houses the town hall. The old town is ringed by Viseu’s more modern development…apartment buildings, a modern shopping mall with a cinema and large supermarkets. A new, 1,500-square-foot, three-bedroom apartment is currently on the market for $144,700. If you need more space, and don’t mind being just a little farther from the old town, for $207,450 a five-bedroom, four-bathroom, semi-detached house can be yours. 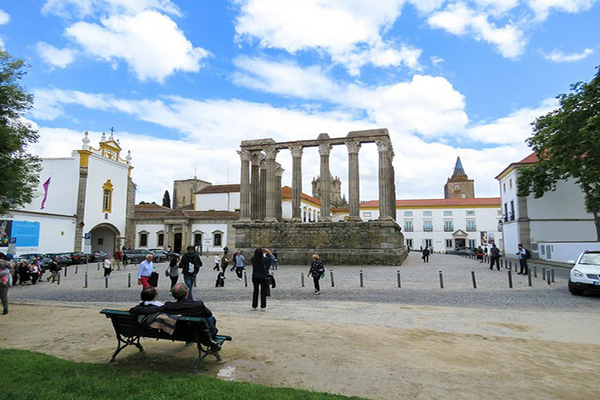 Found by the Romans and still full of Roman ruins, the town of Évora has winding cobblestone streets, a laidback atmosphere, and inexpensive cafés and restaurants tucked into nooks and crannies. The history buff in me was more than satisfied with the town’s dramatic Templo Romano, once part of the Roman Forum, that stands proudly surrounded by churches and museums. And the Capela dos Ossos (the chapel of bones), the walls of which are covered in the bones of 5,000 people. This was the solution the local Franciscan monks devised for overcrowded graveyards in the 17th century. Just 90 minutes east of Lisbon, Évora is a place I could live a while. It’s got the perfect mix of modern and ancient. Popular clothing stores abound (cleverly housed in old buildings with discreet signs so as not to intrude on the Old World environs) and large supermarkets and shopping malls are right outside the old town walls. Right now, there’s a three-bedroom house in the heart of the centro historico for $190,700. With 1,120 square feet of living space, three bathrooms, and a combined living room/kitchen area, all of Évora’s charm is right on your doorstep. If you’re looking for something more modern, a bright two-bedroom, one-bathroom apartment on the outskirts of the old town can be yours for $132,900.